A look at June’s labor market shows no change in the unemployment rate of 7.6 percent, but there was an increase of 195,000 jobs created last month. 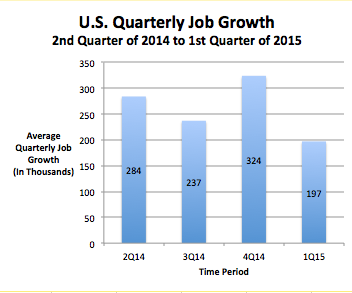 This marks thirty-three consecutive months of positive job growth. Even though most of the job creation were in leisure and hospitality and retail trade (over 57 percent), this total did exceed the expectations of economists, who were expecting growth of only 155,000. 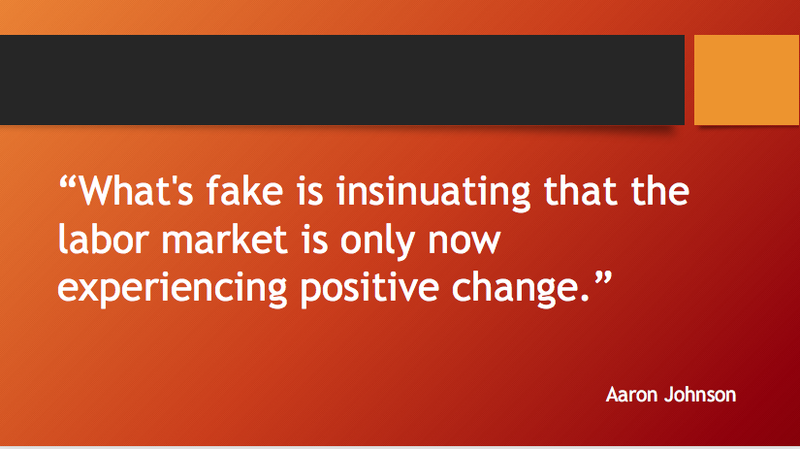 Therefore, markets reacted positively. Even though most of the job growth occurred in seasonal sectors, there were positive signs to draw in the broader measure of unemployment. 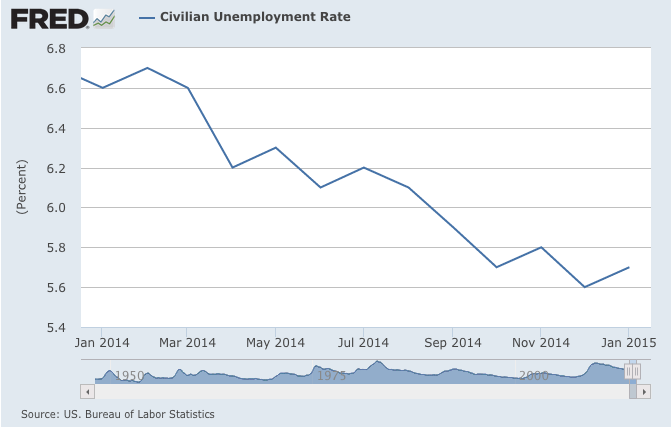 The U-6 unemployment rate fell from 14.8 percent to 14.3 percent over the last year. This measure looks at those individuals, who are underemployed. For example, an engineer, who loses his $80,000 job, but continues working part-time as a substitute math teacher at a fraction of that salary, would still count as being employed within the official figures. However, earning a substitute teacher salary is a far cry from pay of a typical engineer. Therefore, the U-6 rate would still count the engineer as unemployed. Based on this rate decline, we can say that the labor market is brightening even when accounting for the normal seasonal gains. As for the plight of the long-term unemployed, there was also some relief. 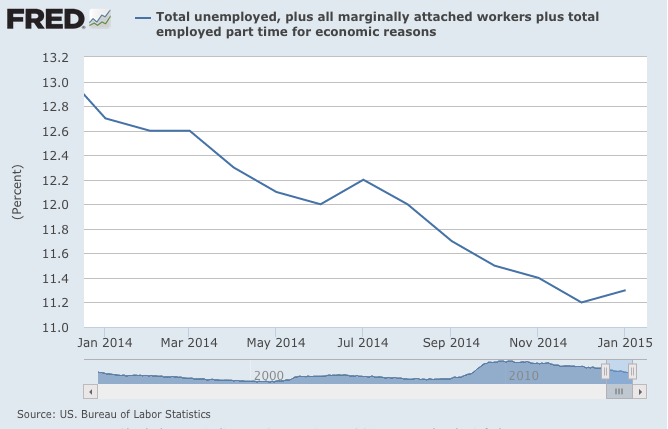 Of those unemployed, 36.7 percent have been looking for work for 27 weeks or more. That is down from 41.7 percent last year. While that is a positive sign, it is far from the 17.4 percent recorded in December 2007 when the Great Recession began. This remains a concern because people who are out of a job for such a long period of time are more likely to experience diminished employment prospects well into the future. On the downside, there was very little change in construction and manufacturing. Large gains in construction infers that housing should be on the uptick. More housing starts mean people will be buying more homes and that will lead to a multiplier effect where consumer spending will rise as they stock up on household and consumer items. An increase in manufacturing activity is a sign that businesses are looking to expand and start adding to their payrolls. 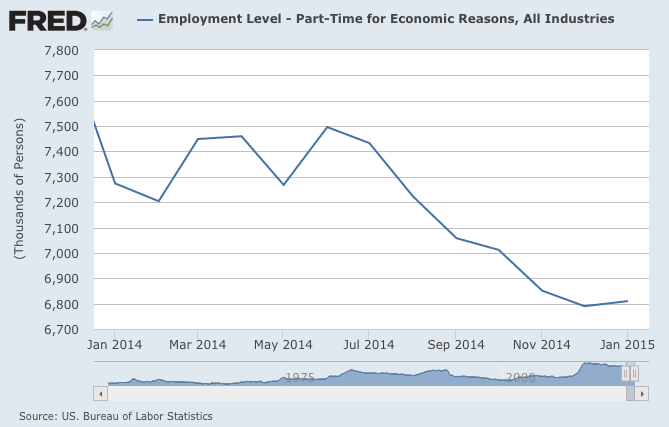 While we can be comforted by the steady drizzle of job growth, a downpour of job creation will be needed to return to normalcy. The Economic Policy Institute estimates that it will still take five more years before we will reach the pre-recession unemployment rate if current conditions are maintained.